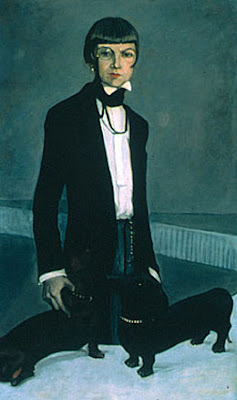 In a recent blog post about top hats, I included one of my favorite pictures of a female dandy, Una, Lady Troubridge (painted by Romaine Brooks). Here's one idea: the 'Una', the latest addition to my 'Belle Epoch' mini top hat range. This one is in midnight blue with black trim. 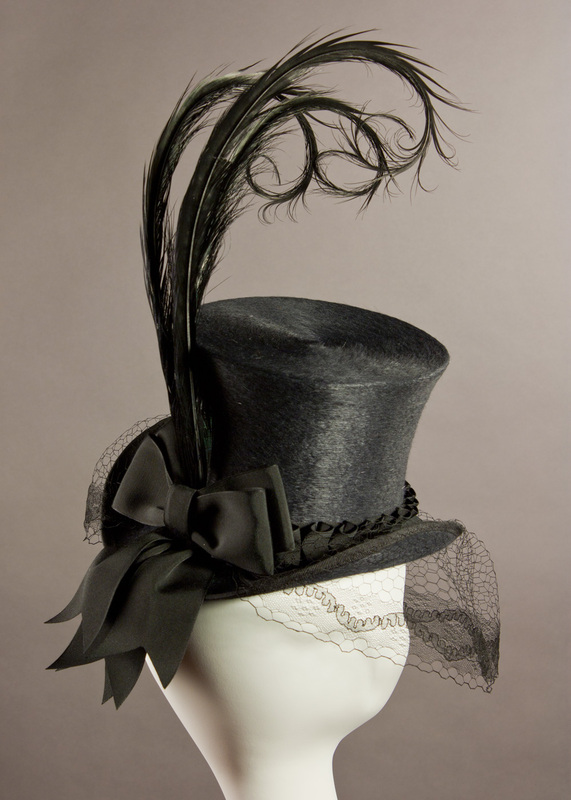 Ribbon pleats circle the crown of the hat, ending in a large bow at the back of the hat. 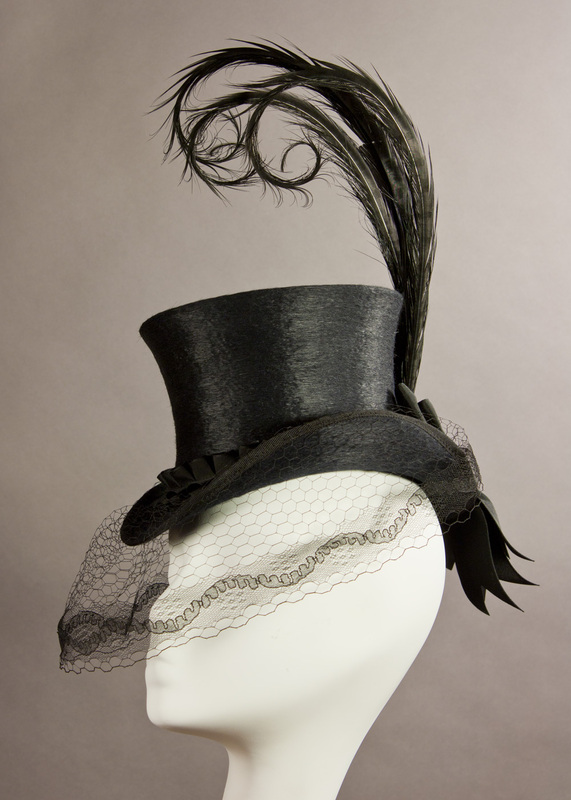 It's topped with long, springy, curled black pheasant feathers. The peek-a-boo veiling is a rare, antique silk net woven into a delicate hexagonal pattern, edged with a gorgeous lace border. 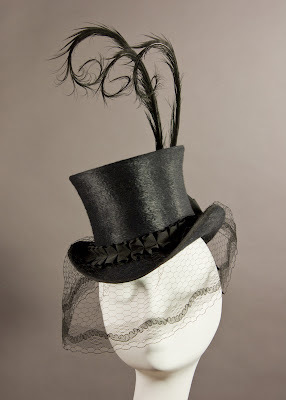 The veiling could be worn down over the eyes, or folded up onto the brim. 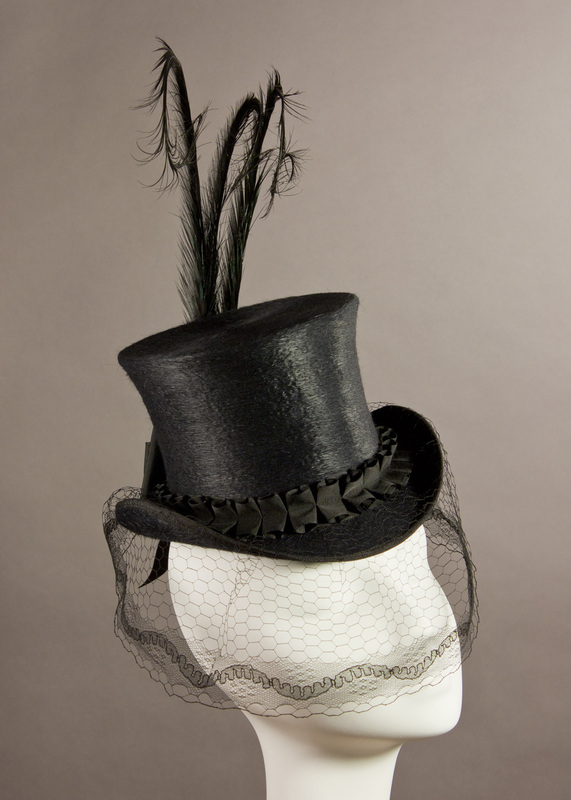 Today, I'm making up two more of these, one in all-black and another in red with black trim. I might also try one out in brown tones, but the veiling would be different, as I only found this veiling in black and in blue. 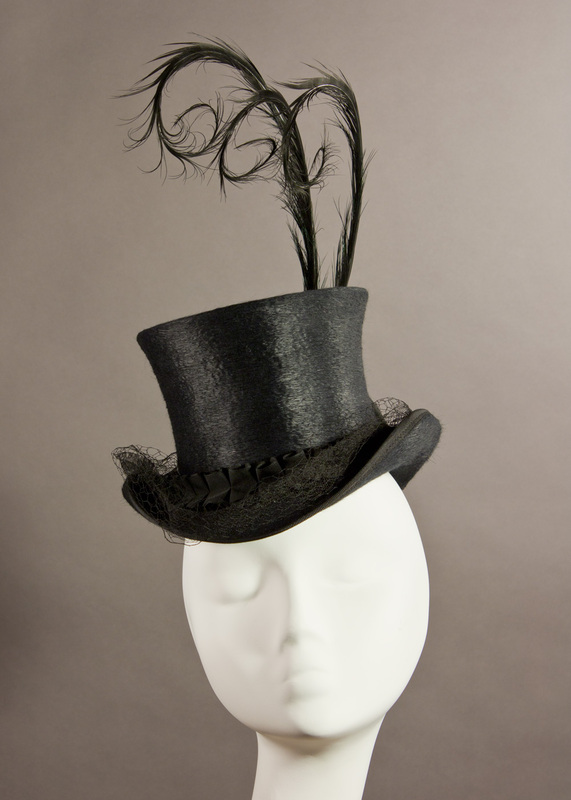 This one is available for sale now at ADS Hats on Valencia in San Francisco, and also online at Etsy and Smashing Darling.